Autumn is now upon us but the weather is still warm – like Indian Summer. We haven’t got our lawn mown for a few weeks as the ground is still quite dry, in Auckland at least. 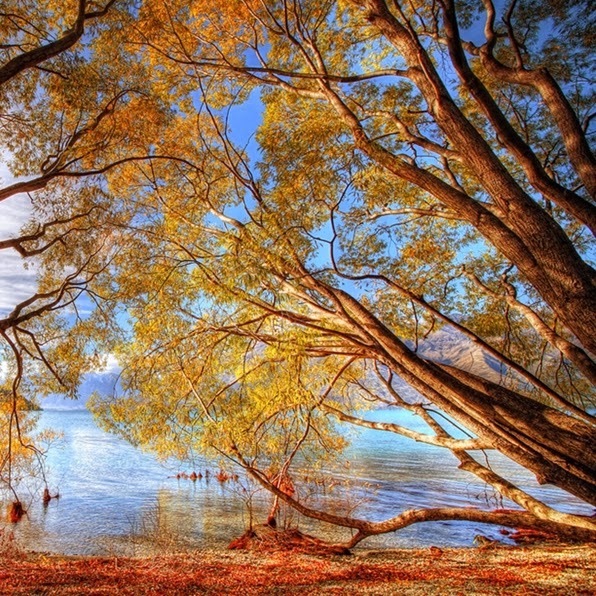 This photograph was taken two or three autumns ago in Queenstown over Lake Wakatipu. April is a beautiful time in Queenstown and it is not too cold although you can get a cold snap from time to time like we did. Mind you, we seem to attract cold snaps – even in Las Vegas in April a few years back.